The holidays are here, and you are short of ideas on what to do with your family members. We have the right tours and rentals that will leave you astonished and ensure you enjoy your holiday to the fullest. Several firms offer these trips, and you might be wondering why you should select us. We are confident that what we have in store is the best from the rest and you won’t be disappointed with our fantastic kayak hire Grand Cayman. 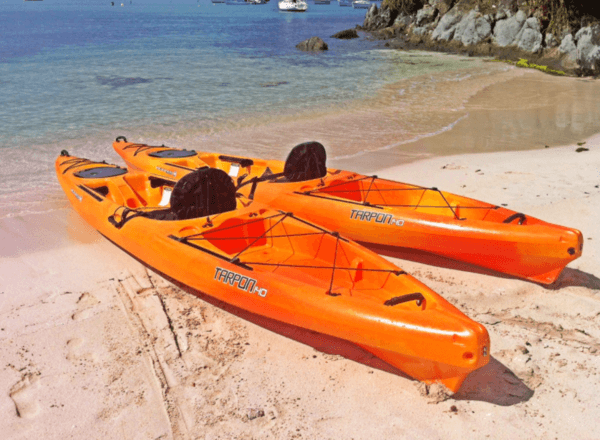 We have a wide range of fabulous kayaks for you to choose from. They are of different sizes and makes, and you should not worry about bringing along your extended family for a breathtaking cruise. The Grand Cayman Islands are full of amazing sights that are a joy to the eye for both young and old. Our experienced kayakers have spent most of their lives in these islands and can cruise through the mangrove laden waters at ease. We offer different types of kayaking tours for you to choose. Some of them include full moon kayaking, bioluminescence tours, mangrove tours and stand up paddle boat rides. All these trips entail different experiences and are all safe, educational and environment-friendly. All you are required to do is to select a tour after an attendant explains to you explicitly what each of them entails and you are good to go. The Cayman Islands is a great kayaking hotspot, and the prices we charge for our tours and rentals are the best. Comparing them to what others charge and looking at what we offer at that price, you will see that we are the best. We take great importance in ensuring that our customers get full value for their money by offering the best tours at very friendly rates. You may read all the good things about our company and think that we are just bluffing. Our previous clients can attest to what we say, and that is evident from the reviews we have received over the years. They are available on the internet and clients have lauded us for our fantastic customer service and kayaking tours. Most of them have vowed to contact us for their kayaking tours and rentals when they come to the Grand Cayman Islands. If our previous customers were all satisfied, you have nothing to fear about our trips and feel free to reach out to us once you come to the Cayman Islands. Lastly, we understand that these kayaking trips can be somewhat risky and have put in place all the necessary measures to ensure that you are safe during the tours. Our attendants have been well trained and understand the best ways of mitigating injuries whenever accidents happen. In a nutshell, you are always in safe hands when you choose to kayak with us. All said we want to make you enjoy your Grand Cayman kayaking tours and leave a happy and content individual. Your holidays are essential, and you should not get back to work regretting why you spent your money on a trip that wasn’t worthwhile. Cruise with the best and enjoy your vacation to the fullest.